For this study, 148 students were recruited, and they consisted of two experimental groups and one control group. Both experimental groups were instructed in the development of conceptual maps using the CmapTools software, while the students in the control group freely chose which study strategies they would use to acquire the knowledge that would be evaluated. The difference between the two experimental groups was that one of the experimental groups followed the guidelines of a cooperative activity, developing a conceptual map in work teams (4 students to each team) using CmapCloud, while in the other experimental group, each student developed the contents of a conceptual map in CmapTools on an individual level. The objective was to detect whether there would be any statistically significant differences between the three groups at the level of academic performance. For this purpose, the same sample was tested by means of the same type of knowledge acquisition test. The data obtained reveal that the scores are higher in the experimental groups than in the control group, and in turn, the experimental group that included cooperative work obtained a better level of performance than the experimental group that worked at the individual level. Therefore, we conclude that simple modifications in the pedagogical strategy (introducing an effective learning strategy and cooperative work), would significantly improve the teaching-learning process and, consequently, would significantly improve the average performance of the students. Acevedo Pierart, C. & Rocha Pavés, F. (2011). Learning styles, gender and academic performance. Revista Estilos de Aprendizaje, 8(8), 1-16. Cid, F. M., Acevedo, V. B., & Garrido, C. A. (2016). Relationship between the learning styles and the academic performance of physical education students of the S.E.K. University of Chile. Revista Ciencias de la Actividad Física, 16(2). Gallardo, B., Almerich, G., Suárez, J., García, E., Pérez, C., & Fernández, A. (2013). Learning approaches of excellent university students and their means. Their evolution throughout the first career year. Revista Bordón, 65(2), 75-96. López, J. M. B., & Velásquez, F. R. (2013). Learning styles and locus of control in students who enter higher education and their link with academic performance. Investigación y Postgrado, 23(3), 199-215. Luengo-Cervera, E. (2015). Learning styles and multiple intelligences in the teaching-learning of spanish as a foreign language. Enseñanza &Teaching, 33(2), 79-103. Montero, E., Sepúlveda, M., & Contreras, E. (2011). Cross-sectional study of learning styles and academic performance in the first year of a career in Veterinary Medicine. Revista de Estilos de Aprendizaje,7(7), 151-159. Serra-Olivares, J., Valverde, C. L. M., Armero, C. C., & Madrona, P. G. (2017). Learning styles and academic performance of Chilean university students undertaking Physical Education studies. Retos, 32, 62-67. Navarro-Soria, I., González-Gómez, C., Galipienso, A., Contreras, A., López-Becerra, F., Fernández-Carrasco, F. & Heliz, J. (2014). Use of study techniques and academic success in undergraduate students at the University of Alicante, Spain. IN: M. Tortosa, J. Álvarez and N. Pellín, XII Jornadas de Redes de Investigación en Docencia Universitaria (pp. 2494-2509). Universidad de Alicante, Alicante, Spain. Moreira, M. A. (2012). In the end, what exactly is meaningful learning? Qurriculum: revista de teoría, investigación y práctica educativa. 25, 29-56. Navarro-Soria, I., González-Gómez, C., López-Becerra, F., Fernández-Carrasco, F. & Heliz, J. (2016). The interactive conceptual map as a reflexive tool in favor of construction of meaningful learning. IN: M. Tortosa, S. Grau and J. Álvarez, XIV Jornadas de Investigación en Docencia Universitaria (págs. 2017-2027). Universidad de Alicante, Alicante, Spain. Badia, A. (2005). Learning to collaborate with the Internet in the classroom. IN: Monereo, C. (coord. ), Internet and basic skills. Learning to collaborate, communicate, participate, and learn. Graó, Barcelona, Spain. Cañas, A. J., Ford, K. M., Coffey, J., Reichherzer, T., Carff, R., Shamma, D., Hill, G., Suri, N. & Bready, M. (2000). Tools with which to build and share knowledge models based on conceptual maps. Revista De Informática Educativa, 13(2), 145-158. Costamagna, A. (2001). Conceptual maps as an expression of interrelation processes in order to evaluate the evolution of knowledge in university students. Enseñanza de la Ciencias, 19(2), 309-318. Novak, J. D., & Musonda, D. (1991). A twelve-year longitudinal study of science concept learning. American Educational Research Journal, 28(1), 117-153. http://dx.doi.org/10.3102/00028312028001117. Rossi, L., Lopetegui, M., & Doná, S. (2010). Strategies of learning and academic performance according to gender in university students. Revista de Psicología, 11, 199-211. Navarro-Soria, González-Gómez, C. & Botella, P. (2015). Project-based learning: perceived differences in the acquisition of competences by the university student. Revista de Psicología y Educación, 10(1), 55-76. Navarro-Soria, I., Real, M. & González-Gómez, C. (2017). CmapTools as a key for improving academic achievement in University students. 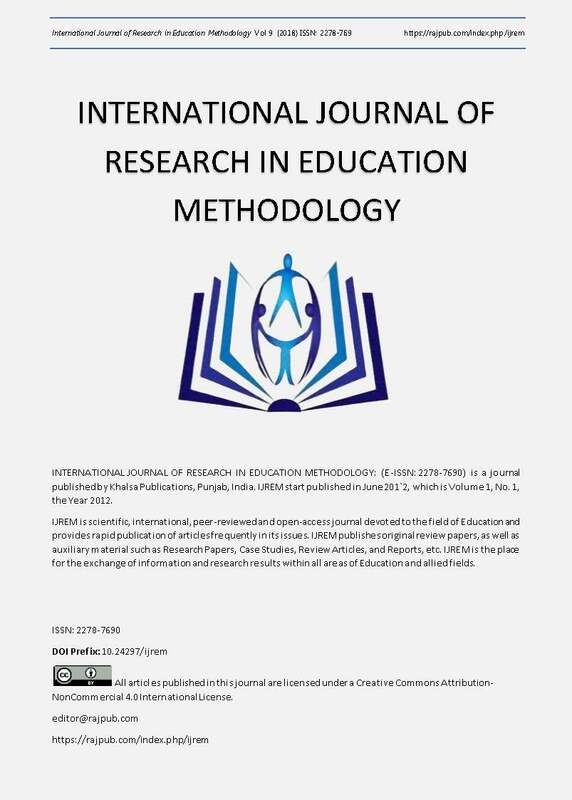 International Journal of Modern Education Research, 4(6) , 81-84. Murga-Menoyo, M. A., Bautista-Cerro, M. J., & Novo, M. (2011). Conceptual maps with CmapTools in the university education program of Environmental Education. A case study in the National University of Distance Learning (UNED), Spain. Enseñanza de las ciencias, 29(1), 47-59.